Search beyond the Sputnik-era lamps and refurbed vinyl sofas for tinted martini glasses and tribal wooden beads. It's not all Mad Men style here, though. You'll find a mix of vintage and contemporary pieces, which somehow all come together in one timeless, stylish scene. They'll help do the same for your home. Search beyond the Sputnik-era lamps and refurbed vinyl sofas for tinted martini glasses and tribal wooden beads. It’s not all Mad Men style here, though. 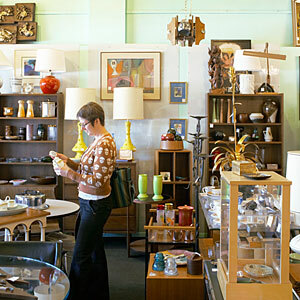 You’ll find a mix of vintage and contemporary pieces, which somehow all come together in one timeless, stylish scene. They’ll help do the same for your home.